The city is in distress and it needs your help!! Become the best ambulance rescue simulator 3d driver by saving people’s lives! Turn on the sirens and try to become an ambulance driver in one of the best 2016 ambulance simulator. There has been a massive accident and you’re the on-duty ambulance driver! Get the doctor to the injured ASAP! Lives are at stake. 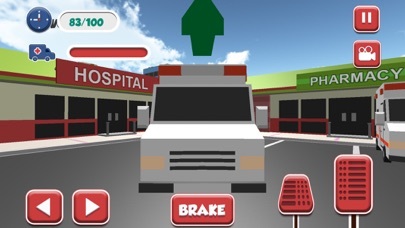 You will enjoy this latest among ambulance to hospital games. Rush your ambulance around the city to get to the scene of an accident in time. 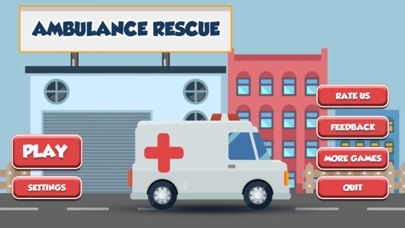 Try yourself as a real rescue worker and feel on the practice, what is the hospital delivery after accidents and how will an ambulance save lives. Enjoy real city rescue ambulance driving in this legendary ambulance rescue simulator 3D to be the dutiful ambulance rescue member of the team. 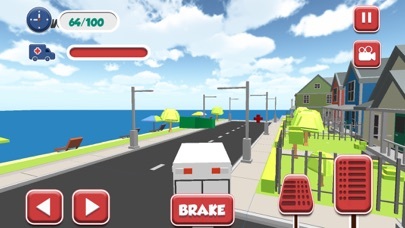 Race your car through the big blocky city traffic, let ambulance rescue injured in accidents and drive them safely to the hospital. Help the doctors by giving them the patients in time. Drive your vehicle in the big city to the hospital and show your skills of precision driving and parking game while you stay stress resistance. The different parking situations are based on time-limited situations, you need to get the patient to the doctors as fast as possible. Need to control the ambulance, needs to drive fast through the big city. An ambulance rescue staff needs to get done what is to be done and really quick. So take control of your vehicle with realistic controls to drive to the injured person in time and transport them to the hospital. This ambulance game has many rescue missions and you must be in a state of emergency all the time. You can drive around the big city, suburbs, construction sites, parks and even the beach. It's crazy how the city lives - people are walking, cars are crossing. Get in your ambulance, fasten your seat belts and become a city traffic racer. 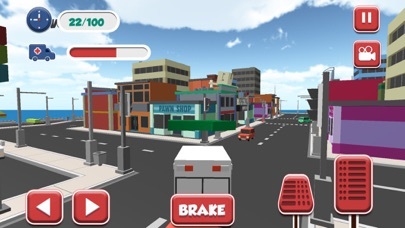 GAME FEATURES: •	Full 3D large blocky craft environment •	30 Engaging ambulance driver missions •	Multiple rescue missions in emergency situations to save lives •	Many different routes across the city •	Smooth 3D graphics with an addictive and easy gameplay •	Rush through block city traffic with extreme fun and challenges •	Drive the patients to the hospital •	Simple simulator controls for seamless driving.